No space for a pond? No problem. 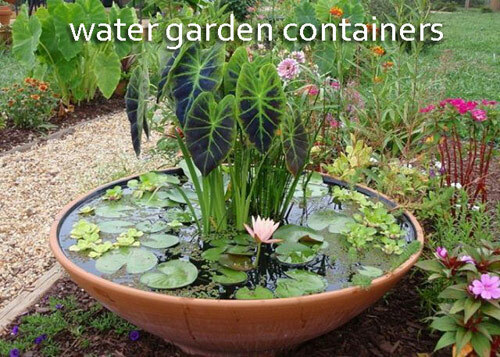 Did you know you can create a water world in a garden container? 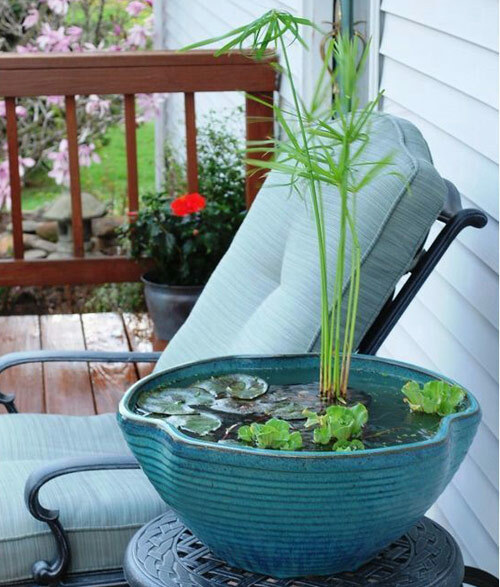 Who doesn't like to look at or listen to water when on the patio, porch or in the garden. Of course when trying to select a container you need to consider all your choices. 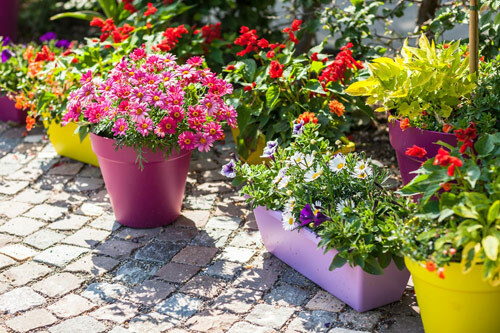 Plastic buckets, colorful waterproof laundry baskets or garden pottery and containers where the drain hole has been plugged. Just make sure the container needs to be able to hold water. 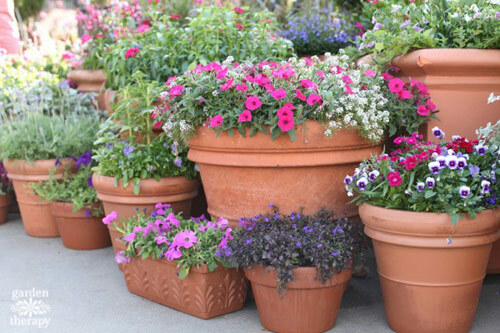 If for example you like the look of terracotta and really want to turn a terra-cotta container into a pond you can always line it with black flexi pond liners. They are easily cut to fit and will give you the illusion of depth when viewed thru the water. Next choose the plant materials. There are really a lot to choose from. 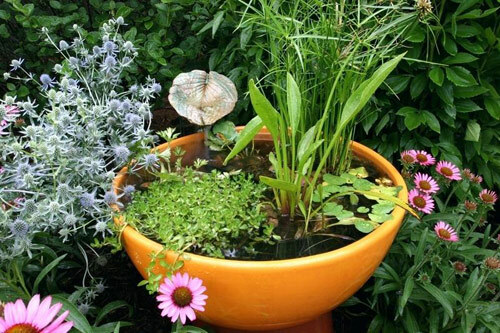 Aquatic plants that you buy can simple be placed inside your water garden container. 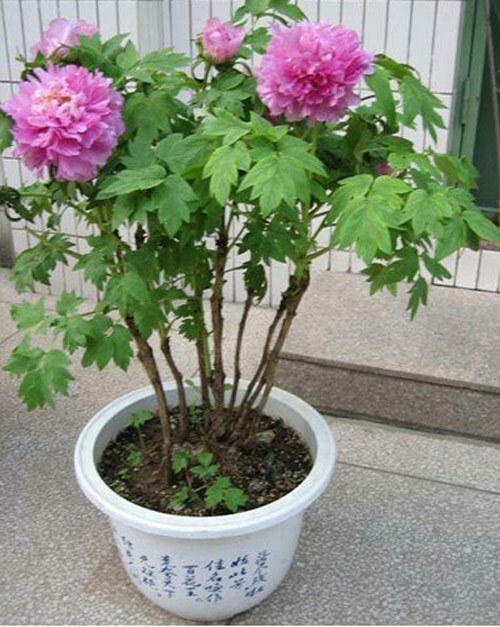 There is no need to repot them in another medium. Just add a few floating plants for a finished look. 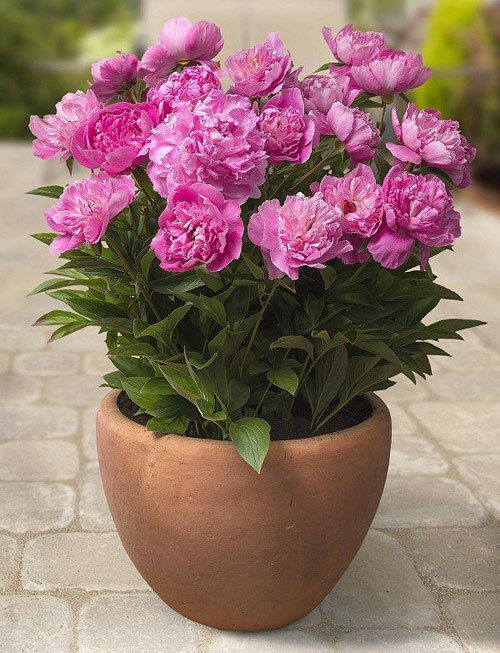 When it comes to chooses you can go with submerged plants which grow partly in and partly out of the water in full sun or shade. 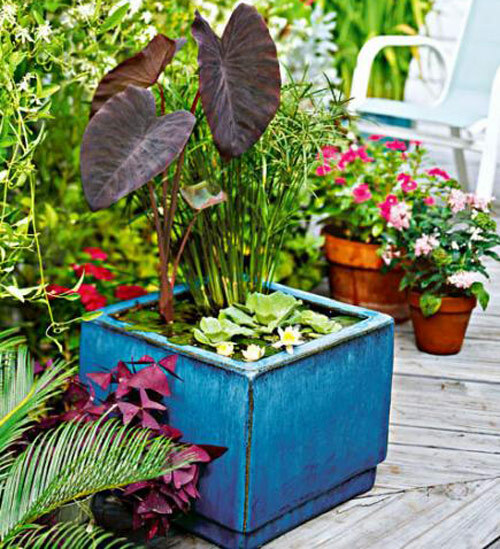 Or floating plants like lilies like elephant ears. 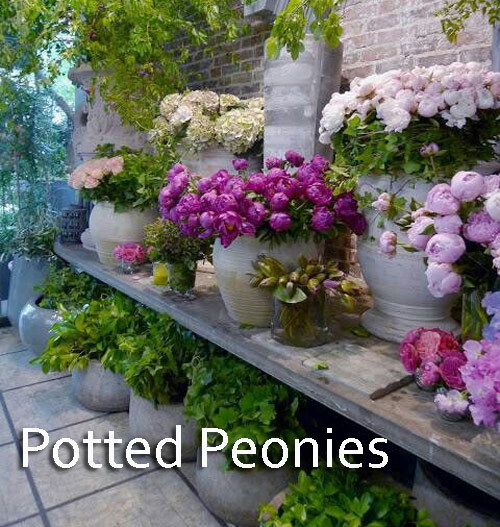 Lastly shoreline plants like paprus which grow to 18 inches and add height. Whether or not you choose to have a pump that will circulate the water or create a fountain is up to you. You will have to contact them for further information but they are great options to consider. 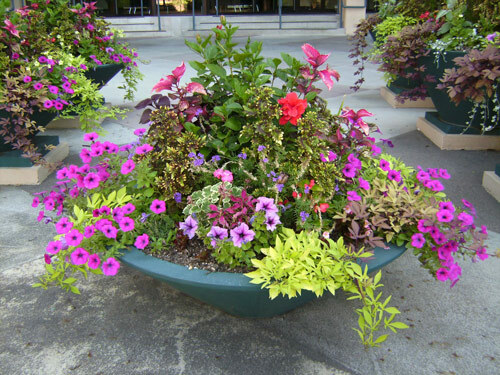 Control algae in your container by limiting its sunlight and nutrients. 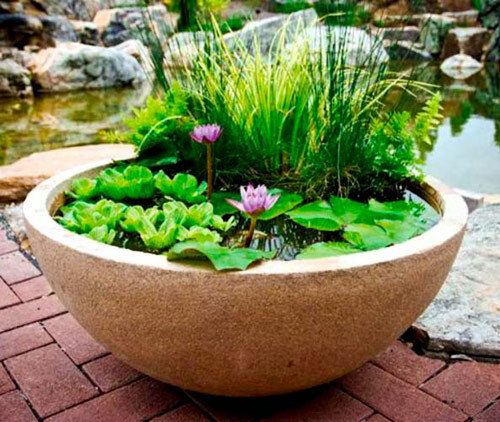 Place the pot out of direct sun and include underwater and floating plants that elbow algae out and shade the waters surface. Above all else. 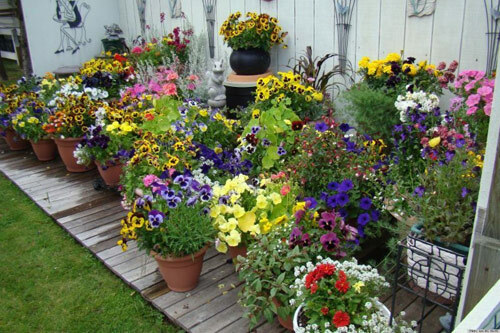 Use what you like and think is attractive, find that perfect spot for the container and give it a go. 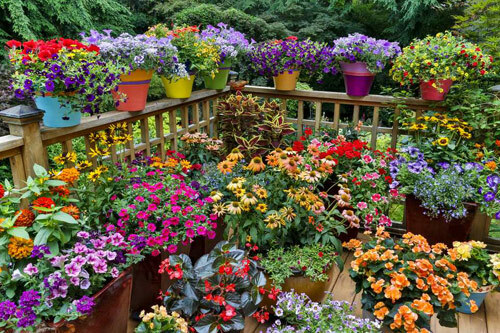 You never know, this maybe the best garden feature you will own. 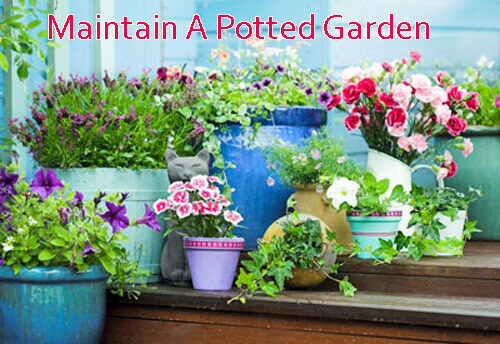 water gardens, container gardens, container ponds, water in pots.